Should We Give the Boot to Reboots? Disney plans to remake at least 15 classic films into live-action movies. Although Disney has been rebooting their classics since the 90s, audience backlash has increased in light of the growing amount of movies being remade. To put things into perspective, Disney released three live-action reimaginings from 1994 to 2000 compared to the eight live-action reboots they released from 2010 to 2018, as well as the six movies they are planning to release in the next two years. Besides these upcoming movies, there are ten other potential projects that have been announced but have yet to be given a release date. The sudden spike in remakes has rubbed Disney fans the wrong way, specifically the generation who grew up with these movies. Despite the initial negative response after the announcement of a live-action film, there are still wide viewer turnouts and consistent profits. The cause of this is either Disney’s reputation, which entices people to buy tickets regardless of what they put out, or the fans in opposition to the remakes are not putting their money where their mouth is, or both. Nevertheless, it is interesting to analyze the reasons as to why fans are skeptical of these live-action reboots. In order to do this, we need to dissect the components present in a live-action remake as opposed to the original film. Let’s compare Maleficent (2014) to Cinderella (2015), the live-action reboots of Sleeping Beauty (1959) and Cinderella (1950). In Maleficent, a different perspective is introduced: the villain’s. The remake strays significantly from the original in terms of the plot and viewers were given the opportunity to learn more about the characters’ backgrounds. Cinderella (2015) did not have the same box office success as Maleficent. Compared to Cinderella (1950) , the remake is almost identical to the original. The only differences found are the removal of the cat and mice sub-plot and the exclusion of iconic musical pieces. 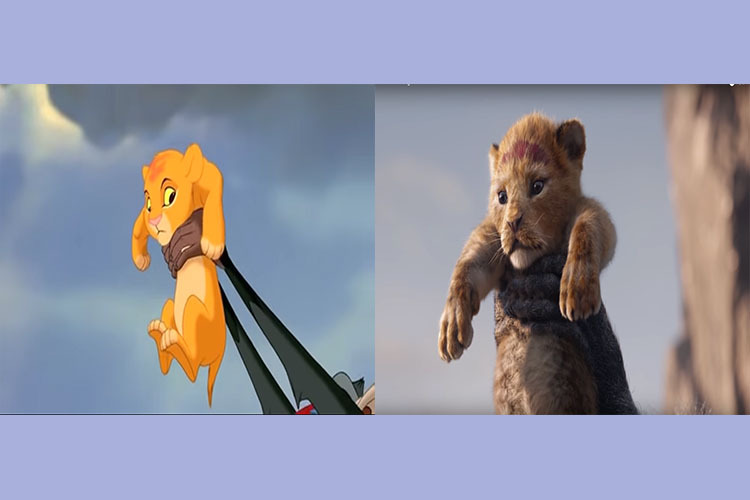 Looking at the way these two movies were reimagined into live-action films, it can be concluded that audiences favor remakes that add more depth to the original rather than the ones that are shot-by-shot takes of the original. While creating new twists garners more attention than staying true to the original, changing up the plot too much can also drive people away. In the case of Mulan (2020), the upcoming reboot of the original Mulan (1998), controversy arose when Disney was rumored to be taking out a main character, Li Shang. Unlike the changes in Maleficent, the modifications in Mulan are said to be the cause of underlying homophobia since Li Shang was speculated to be bisexual in the original. While there is resistance regarding the release of live-action reboots, there stands to be a number of fans who are in favor of these remakes. Fans of these reboots are thrilled to soon be watching upcoming live-action movies such as the Lion King (2019) and Aladdin (2019). To comprehend why some support reimaginings of their childhood favorites while others vehemently oppose them, we need to understand that we, as people, tend to gravitate towards familiarity and nostalgia. Fans already know what they are going into when they buy a ticket to a remade movie. They know they loved the original and because of this, they will most likely enjoy the new version. The same goes for reboot-opposers; they are familiar with the original, so they watch the remake to determine whether or not it was as bad as they expected. Even though I have watched all of Disney’s live-action reboots and adored them greatly, I do hold some resentment against these releases. On August 14, 2015, Disney announced the release of Gigantic, a film based on the plot of the English folktale, Jack and the Beanstalk. Soon after, Disney announced the cancellation of this film. Disney cancelling the release of this movie could very well have been because they weren’t sure how well it would do with audiences compared to remakes that viewers were already accustomed to and have a connection with. Reboots are causing new and potentially better films to be set aside. This correlation between new releases and reboots brings up another question: Why is Disney remaking so many classics when they could be putting out original scripts? The answer is simple: money. Disney is banking on the idea of familiarity mentioned earlier. There is less risk in rebooting an animated movie as a live-action because the movie already has a following and Disney is guaranteed at least some profit. With all this information, it becomes more complex to assess whether or not reboots should be booted. It all comes down to personal taste in movies and how much a person would like to relive their favorite childhood memories.